The following are honest reviews from clients. Yani was professional yet friendly from the beginning to the end. He is great at giving direction and has a fantastic eye for what makes a beautiful photo. I am not particularly camera shy but a few members of the party were and he was great at direction and talked them out of their shell. We ended up with the most stunning and creative photos for our wedding which we will cherish forever. I 100% recommend Yani as your photographer for your special event- you will not be disappointed! Yani is such a talented and passionate photographer. He really knows how to make you feel comfortable in front of the camera - especially if it's your first time! "Yani is an amazing photographer to work with. He is super down to earth, creative and attentive. I would definitely recommend his services, both my partner and I look forward to working with him again when we have children and special occasion! ⭐️ ⭐️⭐️⭐️⭐️"
"....as you know, we’ve been thrilled with our engagement photos. You are very gifted! We're wondering if we could talk with you about shooting our wedding...?" "If there is one thing I can say about Yani is that he is passionate about his work. He loves what he does and does it exceptionally well. Whether it's finding the right lighting or angle he sees it all and it always makes for an amazing picture. He is also very fun to work with and knows how to make you feel comfortable if you are camera shy. Yani Photography will always have my stamp of approval." 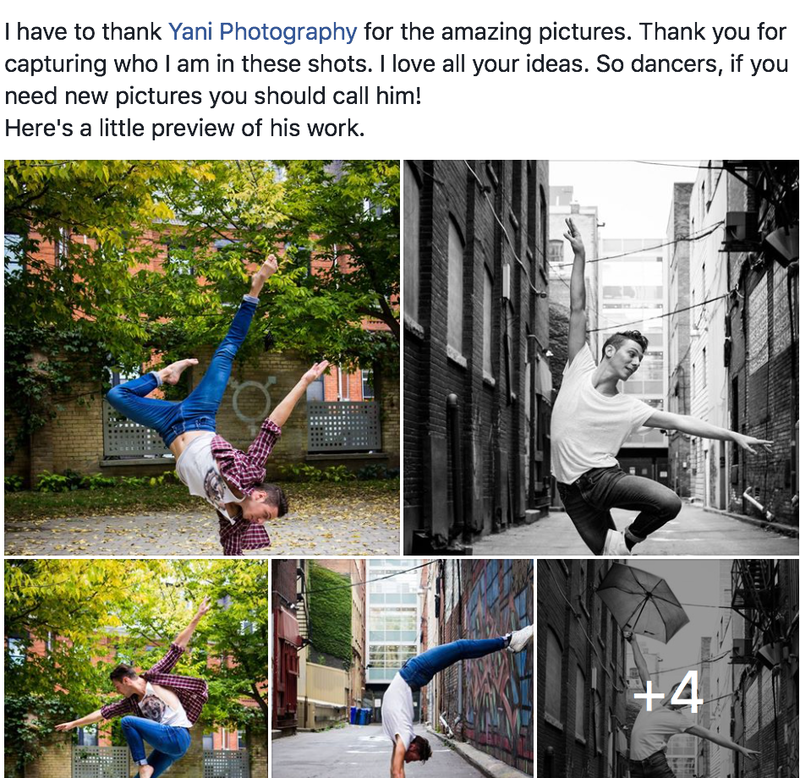 "Yani is an absolutely fantastic photographer. We were nervous going into our photo shoot, but Yani was able to make us relax and have fun. We had a blast and our photos reflect how natural and casualwe were able to be, thanks to Yani's guidance. The photos turned out amazing"
"I have to thank Yani Macute Photography for the amazing pictures. Thank you for capturing who I am in these shots. I love all your ideas..."
"I got my professional headshots done with Yani Macute Photography. Honestly, I was very excited because I've always been a fan of his creative work. Being photographed by him was easy, he got me so Comfortable to pose for him and do my part as a model. Furthermore, I'm very happy with my headshots, Imust confess Iachieved my goal of gettingan actor agency because of those pictures." "Yani Macute is an amazing photographer!! My engagement photoshoot was nothing short of perfect, and his ability to get my silly puppy to hold still for flawless photos is admiring. Very professional, and a great sense sense of humour. Grateful to have him in my life." "Yani was a pleasure to work with, and really seemed to enjoy shooting our wedding photos, especially the fun casual shots. We'd happily recommend him to anyone else who needs a photographer for their wedding." "You're a talented photographer. I must say! Kudos to getting all the shots I've tried and never succeed! You have a knack! I like your work a lot.